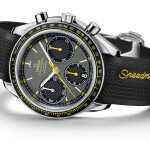 When the OMEGA Speedmaster was introduced in 1957, it was valued by motorsport and rally drivers for its chronograph performance and for its design aesthetics. In fact, its dial design was inspired by the dashboards of Italian cars of the time; it was also the first chronograph whose tachymetric scale was repositioned from the dial to the bezel. 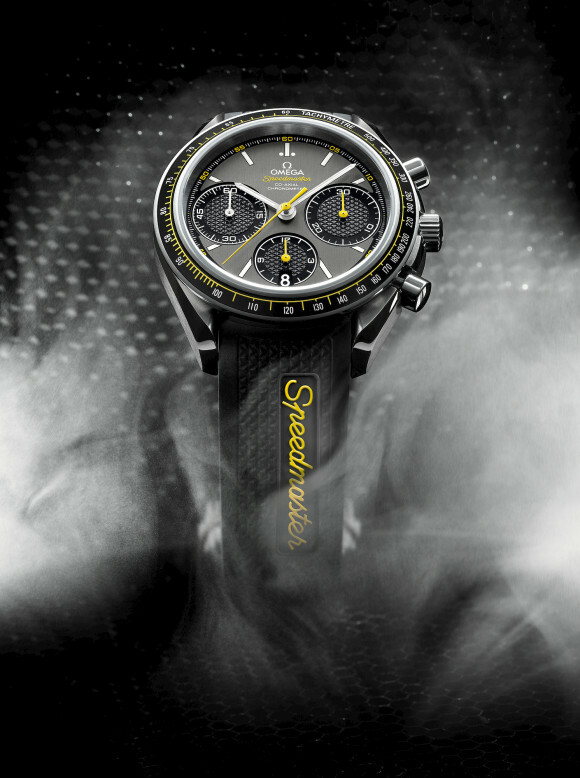 The new Speedmaster Racing honours the chronograph’s decades-long connection to motor racing – before the Speedmaster was worn on the Moon or at the North and South Poles, it was found on the wrists of men and women driving high-performance automobiles. The OMEGA Speedmaster Racing chronograph has a 40 mm stainless steel case with a matt black aluminium tachymetric ring on its bezel. It is offered in a choice of grey, grey/yellow or grey red tachymetric scaling. The screw-in caseback features the familiar Seahorse emblem. The dial and sub-dials are available in the range of colour combinations described in the watch’s technical specifications. The 30-minute and 12-hour counters and the small seconds hand sub-dial are textured with a triangular “Clous de Paris” pattern. There is a date window at the 6 o’clock position. The hour and minute hands as well as the hour markers are coated with Super-LumiNova. The Speedmaster Racing is powered by an exclusive OMEGA calibre 3330 has a column-wheel chronograph mechanism and is equipped with a Co-Axial escapement and an Si14 silicon balance spring. The combination delivers such reliable timekeeping performance and stability that the chronograph comes with a full four-year warranty. 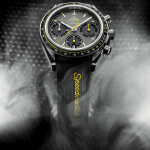 The Speedmaster Racing is presented with either a stainless steel bracelet or a black rubber strap. It is water resistant to 10 bar / 100 metres / 330 feet. This entry was posted in Press Release, Speedmaster Automatic and tagged 326.32.40.50.06.001, Co-Axial, Racing on March 5, 2012 by Dale Vito.